Distinguished researchers and scientists have played key leadership roles in Frontier Science. Dr. Terence Fenton is a research scientist in the department of biostatistics at Harvard T.H. Chan School of Public Health, with work focusing largely on AIDS research. Dr. Fenton was the director of statistical and data management of the International Maternal Pediatric Adolescent AIDS Clinical Trial (IMPAACT), a global research collaboration that evaluates interventions to treat and prevent HIV infection in infants, young people and women. Dr. Richard Gelber is Professor of Pediatrics (Biostatistics) at Harvard Medical School and Professor in Biostatistics at the Department of Biostatistics, Harvard T.H. Chan School of Public Health, and the Department of Biostatistics and Computational Biology, Dana-Farber Cancer Institute. He is a recognized expert for his contributions to the design and analysis of many important clinical trials, improving cure rates for pediatric leukemia, pediatric AIDS and perinatal transmission of HIV, and breast cancer. 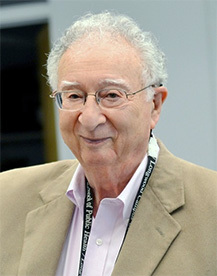 Dr. Gelber served as the Statistical Director for the International Breast Cancer Study Group (IBCSG) at the Dana-Farber Cancer Institute for over 40 years (1977 to 2018), and has collaborated with the Breast International Group (BIG) since 1998, serving in the BIG Executive Board from 2010 to 2014. He has developed statistical methodologies for quality of life (Q-TWiST) and for subpopulation analyses (STEPP), both designed to increase the relevance of clinical trial data for use in patient-care decision-making. Dr. Gelber has been awarded numerous honors including the prestigious Brinker Award for Scientific Distinction in Clinical Research, Susan G. Komen for the Cure, and an honorary Doctorate in Medicine from the University of Göteborg, Sweden. For the past 40 years Gregory Pavlov has been engaged in clinical trials data management and related research efforts in a range of technical and managerial capacities, including database administrator, programmer analyst, director of data management and computing for the ACTG and IMPAACT clinical trials, and director of the Frontier Science Amherst, NY office. Mr. Pavlov was president of Frontier Science from July 2014 until July 2017. Throughout his career, Mr. Pavlov created systems that facilitated national and international trials collaboration including clinical trials networks such as the CALGB, ECOG, IBCSG and RTOG; trials conducted by the Dana-Farber and other research institutes; and various industry sponsors. Thelma Zelen has been involved with Frontier Science since shortly after its founding in 1975. She has been a constant source of support toward the growth of Frontier Science both domestically and internationally. She is familiar with every aspect of the organization and has played key roles in the foundation’s administration and development. Thelma was the first administrative officer of Frontier Science. Until recently, Thelma served as the Chief Administrative Director for the Boston Office. Dr. Marvin Zelen founded Frontier Science after he recognized the need for an independent, non-profit organization focused on collaborating with medical researchers to answer significant scientific questions through the conduct of high-quality clinical trials. Recognized as a giant and pioneer in the field of biostatistics, Dr. Zelen developed innovative methods of data management and analysis to solve the problems he identified decades ago in clinical trials in hospitals and laboratories. Dr. Zelen passed away in November 2014. Frontier Science owes its existence to Dr. Marvin Zelen, one of the preeminent biostatisticians in the world. Decades ago, Dr. Zelen recognized significant failings in the way clinical trials were being conducted in hospitals and laboratories, including inadequate guidelines for the gathering and analysis of data and poor quality control. There were no accepted practices of review to ensure the accuracy of research findings. To solve this problem, Dr. Zelen devised an approach built on innovative methods of data management and analysis. In 1976, while working as a professor of statistics and statistical laboratory director at the University of Buffalo, he opened the Frontier Science & Technology Research Foundation. It didn't take long before the foundation began receiving grants from the National Institutes of Health and the National Cancer Institute. The Foundation’s first major work supported clinical trials on cancer treatments. In 1977, Dr. Zelen relocated to Boston after he was named chairman of the department of biostatistical science at the Dana-Farber Cancer Institute in Boston. Three years later, he took on the additional role of chairman of the department of biostatistics at the Harvard School of Public Health. In 1997, in honor of his 70th birthday, the School established the annual Marvin Zelen Leadership Award in Statistical Science, which has become one of the most prestigious honors in the field, meant to reflect Dr. Zelen’s contributions to quantitative science and beyond. Other organizations have also honored Dr. Zelen and his transformative contribution to research. His long list of awards include a Medal of Honor from the American Cancer Society, the Fisher Lecturer Award from the Committee of the Presidents of the Statistical Society, and the Samuel S. Wilks Memorial Award from the American Statistical Association. Dr. Zelen also received an honorary doctorate from the Université Victor Segalon in France. Dr. Zelen passed away in 2014 at the age of 87. Today, the standards and practices he developed decades ago continue to be used worldwide in clinical trials of many diseases. His tremendous legacy lives on in every study that uses his methods, and in the work of the team at Frontier Science.